I... tried making my own IPAs. Last edited by Cheezdude on Thu Feb 12, 2009 7:40 pm, edited 1 time in total. hey silver, looks like you have a little compitition! those are some good sprites cheesy. now try making a..... hold on, I think I have an idea. lets see who is better at making D/P sprites. 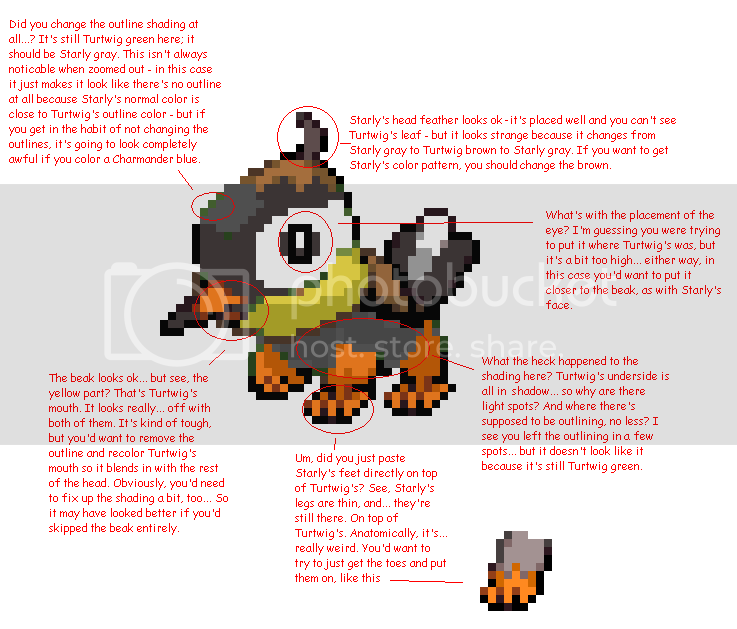 Cheezedude, could you please make a combination of the pidgy and starly evolution line? i.e. pidgy/starly, pidgiotto/staravia, you get the idea. 2. Those sprites took 8 hours! 8 HOURS! Last edited by Cheezdude on Sun Sep 16, 2007 7:05 pm, edited 1 time in total. I'm one step ahead of you, Gar. Now, the following image is going to seem overly harsh, and overly large. Really, the mixes aren't too bad; I have seen much, much worse sprites in my time, and I know that you're a beginner. I mean, when I first started, my sprites looked like.. Shroothoot... compared to which these are pretty darn good. However, I've all but dissected the first stage and pointed out what needs fixing. Now, keep in mind that I really hate to discourage spriters... but it does take practice to make sprites that look game-quality. I've been making sprites for well voer three years, so uh... well, I should probably know what I'm doing by now, shouldn't I? You'll only get better with time, so keep at it. Aside from the stupid name it looks like a good idea. 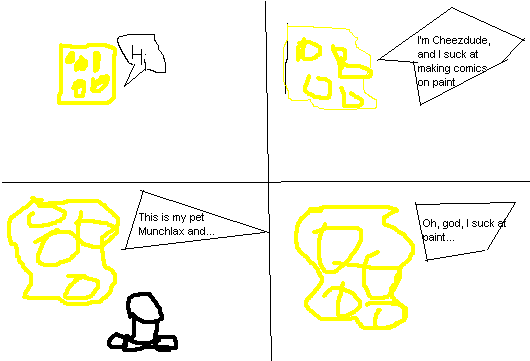 It was saved as .JPG. If I enlarged it like that, it would've ended up embarrassing you because .JPG sprites really look awful zoomed it. Dang you and your logic.... If i do it again, will you zoom in on it and point out its every flaw and tell me how i could better it just like you did cheesy's? With the tail of that creature, did you create your own colours instead of using the ones that already existed on the blue one? I think maybe if you had also recoloured the ears it would have looked better... or even made the whole thing skitty pink! On a different note, does anyone have any comments on the drawings I submitted for IPA apprentice? Neku from the world ends with you. It's face looks a bit... off, but I can't see why.